When I first heard of Pamplemousse, I thought it was a really bad name for a restaurant, as it evoked thoughts of a pus-filled pimple. However with the wonders of google translator, I later found out that Pamplemousse means Grapefruit in French. So compared with Grapefruit Bistro & Bar, I guess the name Pamplemousse is definitely a great improvement. 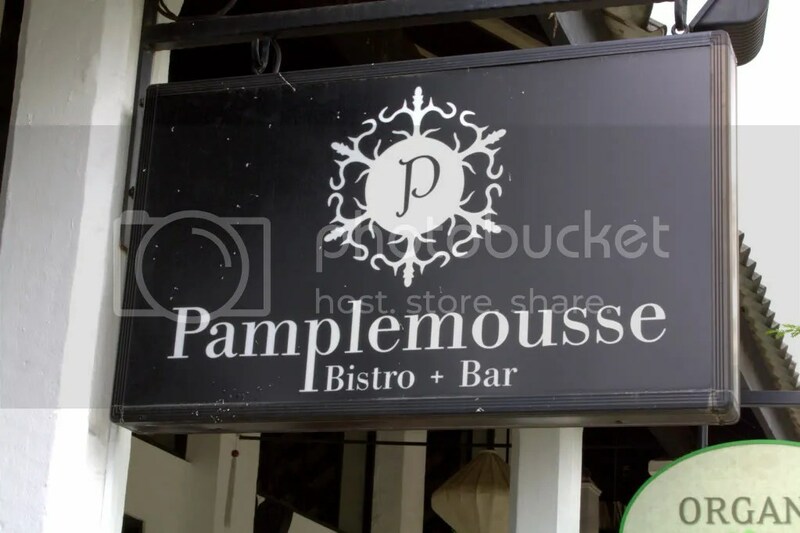 Just over a year old, Pamplemousse has already garnered quite a following so I was quite eager to try it out and I wondered if this was going to be one more of those overpriced Dempsey restaurants catering mainly to expats? Coming in a group of 9, the occasion was to celebrate Min’s and JC’s belated birthdays. I’m finding it increasingly difficult to source out decent restaurants given our student budget and somehow, there seems to be a natural mental barrier for meals costing $20+ and meals costing $30+. Most of the time, I’d rather just top up $10 for tastier food, posher ambience and better service. While the brunch menu is ala carte and features many interesting dishes such as Baked Eggs in Cocotte which comes with Foie Gras and Port Jus (foie gras for brunch = yummm…), I didn’t spot any ala-carte lunch or dinner menus, but rest assured that diners are still left spoilt for choice with 6 choices for appetizer, 6 choices for main and 3 choices for dessert available for the set lunch. 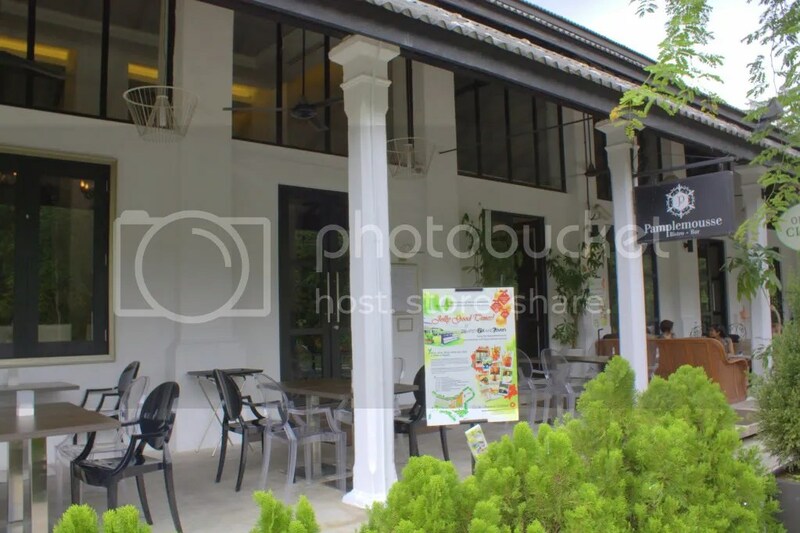 The 3-Course Set Lunch is priced reasonably at $32++, inclusive of coffee/tea and available on weekends as well, a rarity among Singapore restaurants. While choices for 3 and 4-Course Set dinners are available, a more extravagant 6-Course Set Dinner sets you back by $98++. However, given that most of the items within the 6-Course Set Dinner can be found in the Set Lunch, I’d recommend the set lunch. A piece of complementary Ciabatta was serving piping hot and crisp. The downside: it was a little hard. I’m not sure about the method of cooking employed, but I liked the large slab of Citrus Marinated Salmon with Grapefruit Confit, Saikyo Miso Aioli and Croutons. 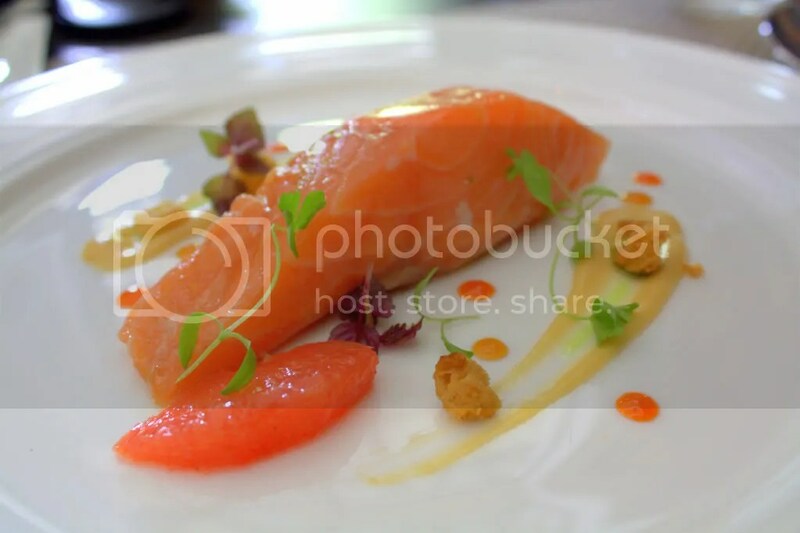 The flavours are so simple and light, with a nice infusion of lemon within the salmon. With a supplement of $10, there is the option of opting for the Foie Gras Terrine “Sachertorte” with Apricot Jam and Roselle Espuma as an appetizer. 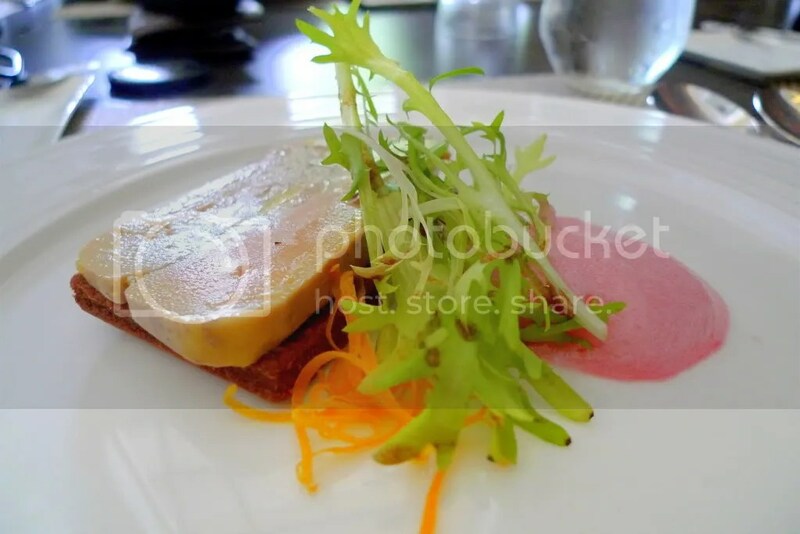 Terrine means “baked in a mold” and that’s exactly what was done with this Foie Gras Terrine but personally, nothing beats an unadulterated slab of pan fried foie gras. Sachertorte is the name of a chocolate cake originating from Vienna, Austria, made by having a thin layer of apricot jam and chocolate cake covered by dark chocolate icing. I found this superfluous and was counterproductive. Chocolate cakes should just be left for dessert! Roselle Espuma means Rose foam. This on the other hand, helped to balance flavours from the terrine. 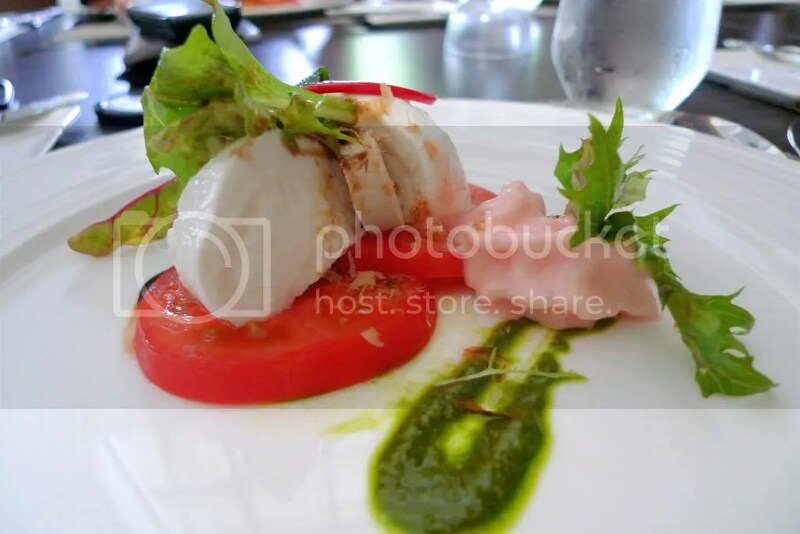 I’m not an avid fan of Caprese Salad because I find Buffalo Mozzarella too mild a cheese. The pink watermelon foam didn’t do much tastewise but added an aesthetic appeal. With the Singapore’s weather cooling recently, I ordered the hearty Onion Soup “Breakfast”. 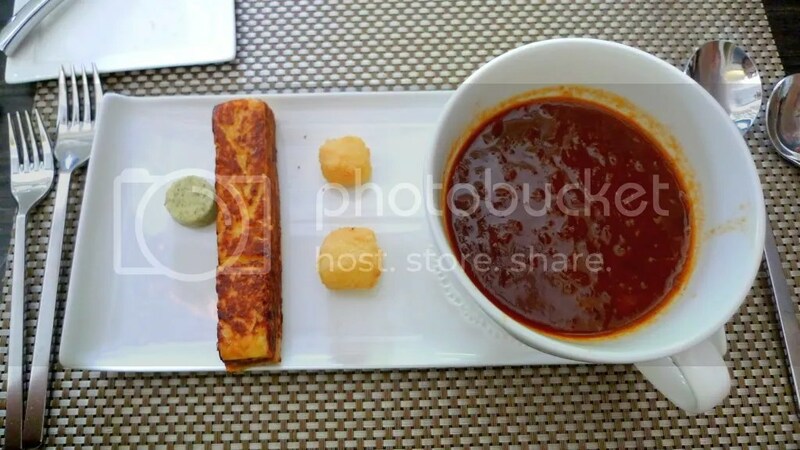 The “Breakfast” probably refers to the French Toast and Fried Cheese Balls that accompanied the dish. The French Toast was very special as it had caramelized onions fillings. The cheese balls was a delightful snack as well. The onion soup sadly, was unremarkable. 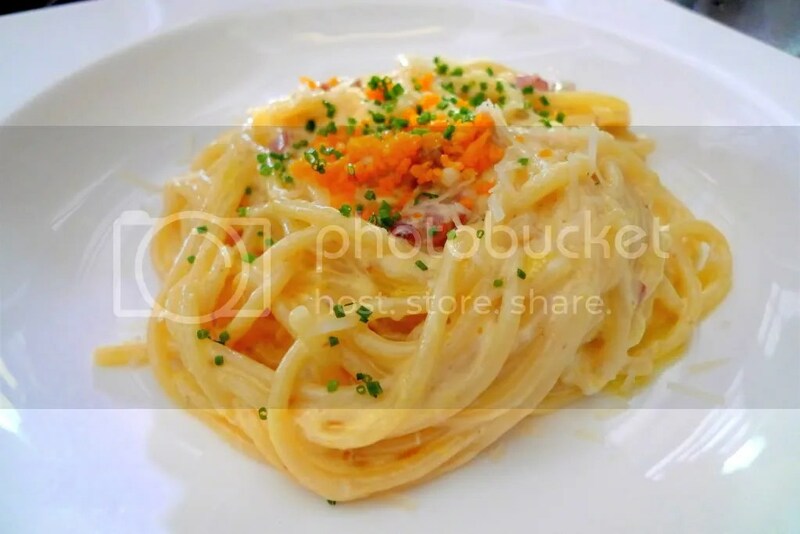 For the Mains, JC had the Spaghetti Carbonara with Salted Duck Egg Yolk. Among the mains, this was my least favourite, not because it was unpalatable but because the other mains available are simply worthy competition. The Duck Confit was done marvelously well. While the meat was a little dry, the crisp skin was one of the best I have had so far. 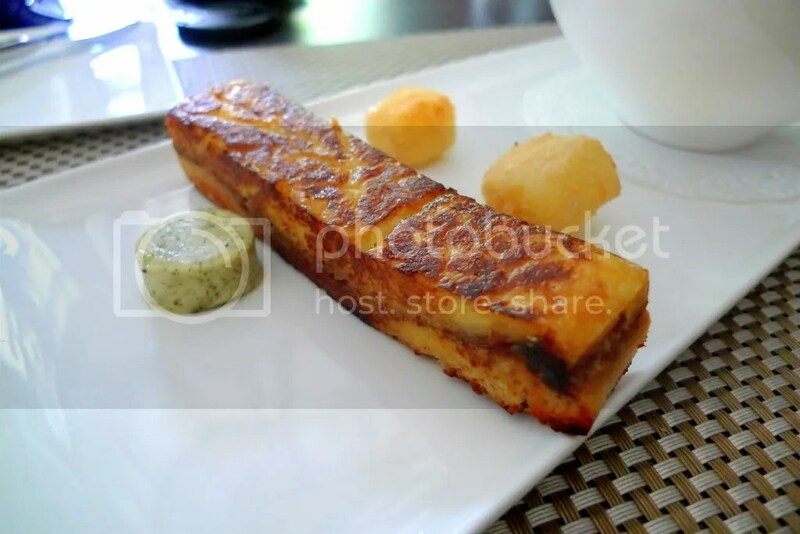 The Pomme Sarladaise aka Grilled Potatoes was heavenly as well, it really made me exclaim silently. 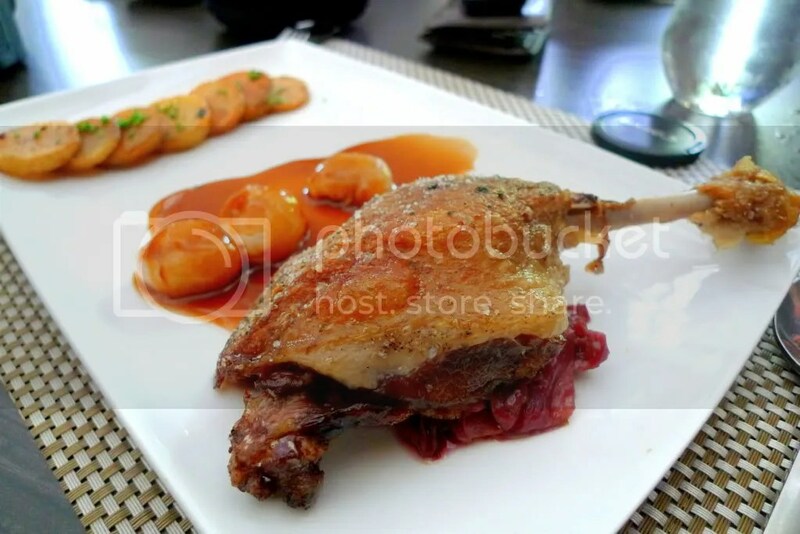 Ad didn’t like the Lychee Gastrique (Gastrique is a classic sweet and sour sauce made from fruits), but I thought it was good to complement the savoury and unctuous duck confit. 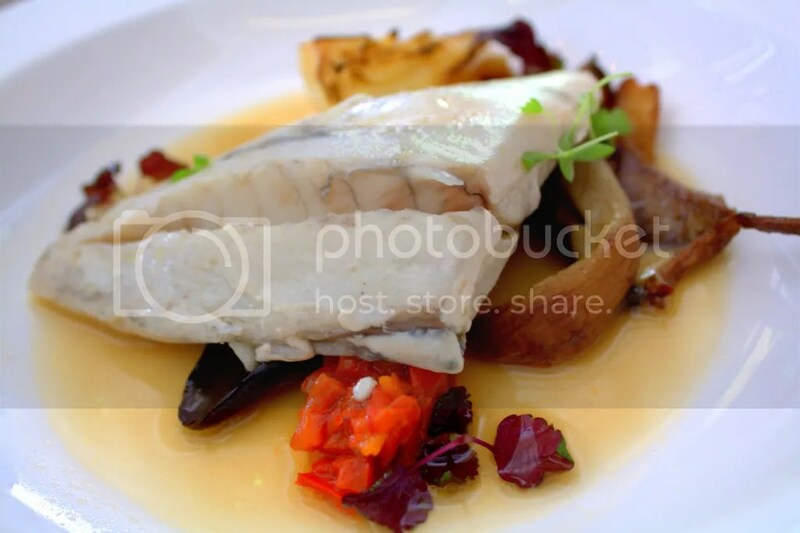 As the description read “Butter Poached Barramundi with Hiratake Mushrooms, Nasu Eggplant, Lemongrass and Saffron Broth“, I thought this was going to be another rich, butter-heavy and thick-as-hollandaise dish. Surprisingly, I felt this was much closer to a Chinese Steamed Fish, which I found awfully refreshing for French Cuisine. I felt the Uni Tagliolini was more fusion than French, especially with the use of Sea Urchin, Pork Gratons (Deep Fried Pork Lard) and Crustacean Cream Sauce. 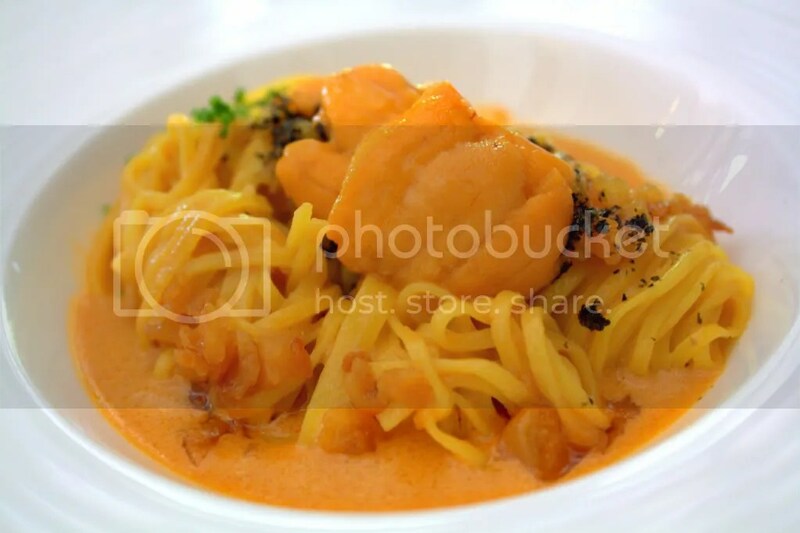 For those who haven’t eaten Sea Urchin, my advice is to get down to trying it out soon, it tastes somewhat like concentrated prawn brains, very sweet and creamy. While I was much satisfied with the starters and mains, I found the desserts to be sadly abysmal. 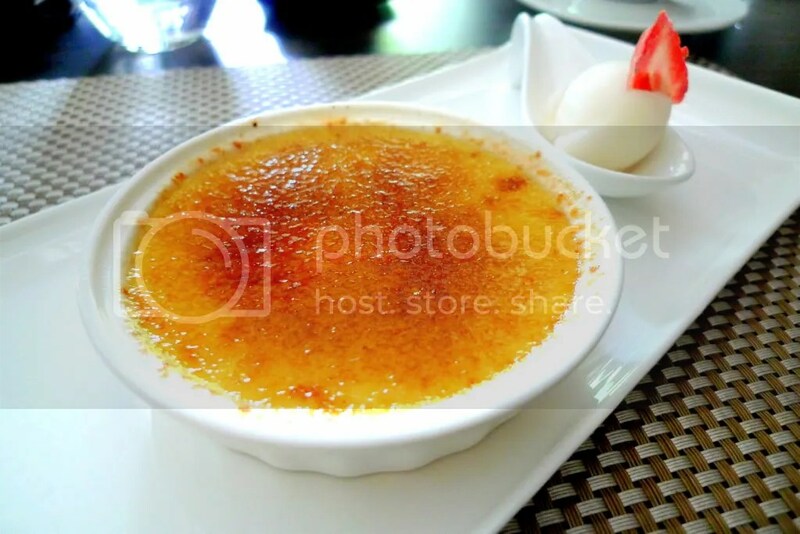 The Creme Brulee had a eggy taste which was overwhelming, and there was too much caramelized sugar. No complaints about the Lychee Sorbet though. 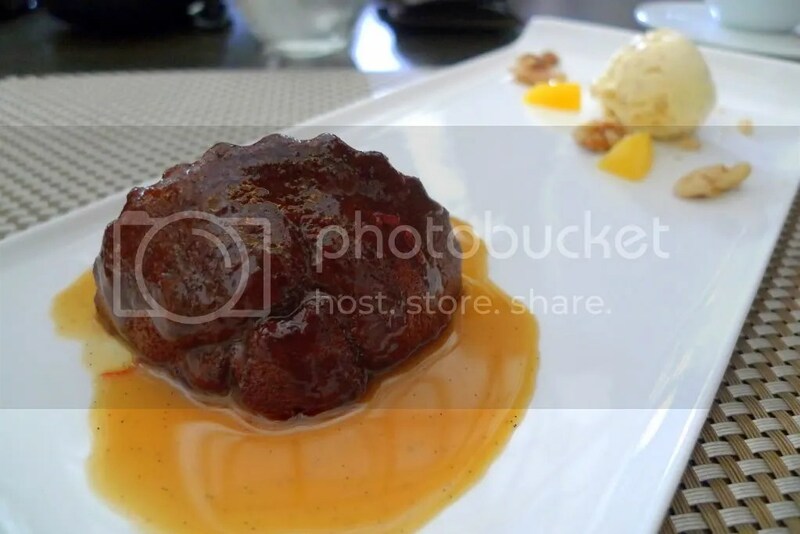 Sticky Date Pudding is my favourite Dessert of all time but I found the version here left wanting. My main gripe is that the pudding was too chewy and dense. However, two thumbs up for the Walnut Ice Cream and Butterscotch Saffron Sauce. 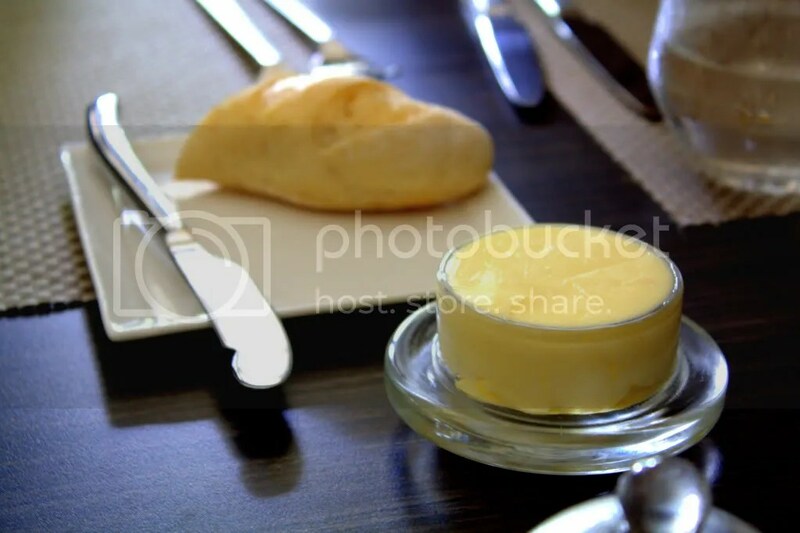 While I find Au Petit Salut nearby serving up more traditional and classic French fare, Pamplemousse comes across to me as daring and contemporary with a cosy ambience. Categories : All YumYums in my TumTum, Cuisine Type YumYums, Dempsey / Holland V, French, Location of YumYum, Yummy! The food is yummy! Tot of coming for my friend’s birthday celebration! 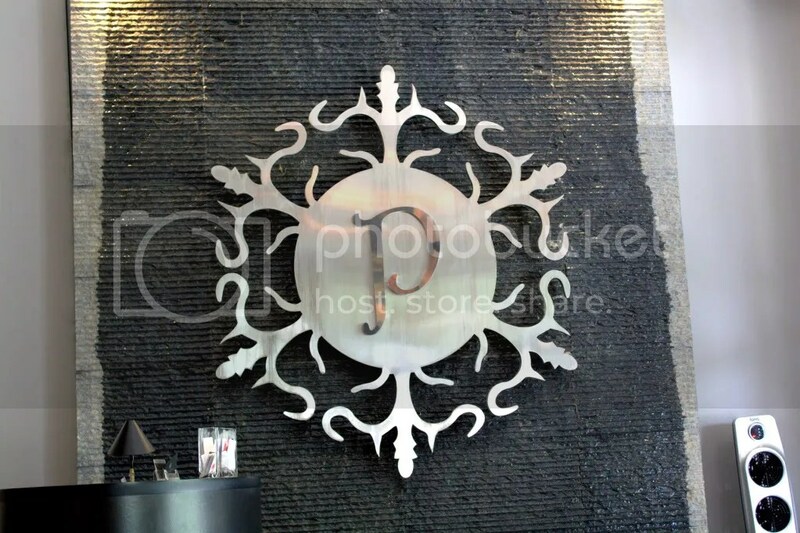 yeah it’s definitely a great place to have bdae celebrations without killing your wallet!